The upper cabinets may be a white or neutral but then more designers are trying out deeper colors or wood tones for the lower cabinets. Gold, brass and the like have been dominating the metallic landscape when it comes to design for several seasons, and though Flanigan says these are still going strong, she’s seeing them used in new ways, most notably paired with materials that are rougher and more rustic. Think copper with concrete, aluminum set with wood, lacquer with slate and brass with quartz, as seen on the light fixtures by Kelly Wearstler for Visual Comfort. The great thing about this look, says Flanigan, is that it doesn’t require buying products with both textures. “Look around the room as a whole—it doesn’t have to be one particular piece. Maybe you’ve got wood elements and leather and can bring in something sleek to contrast. 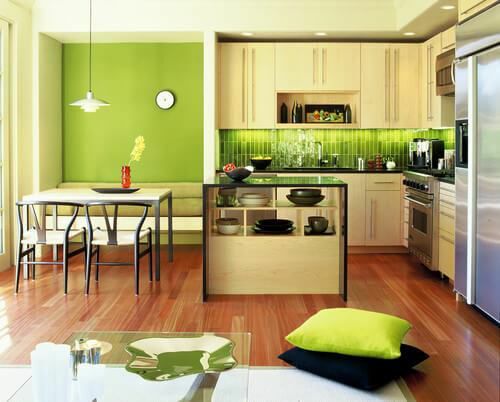 We are doing that every day in our interiors, and it works especially well in kitchen design. You can have rustic wood beam on top of lacquered white wall bringing in that texture,” she says. Brass finishes have been making a comeback in recent years, cherished for their ability to bring shiny golden tones to a space without the high price tag. But more recently, designers like Elizabeth Lawson have been turning away from the reflective finish of polished brass and embracing satin or brushed brass, which is more muted and warm. More home owners are opting to keep the dining room and not turn it into an office. The formal dining room is expected to get more attention this year. Lines and shapes are a constant in design, but in the past few years we’ve streamlined from chevron zigzags to honeycomb and other geometrics to the humble, simple, straight line. “This was one of a couple things we noticed right off the bat,” says Marie Flanigan. Right angles or simple vertical lines are bringing a more contemporary, streamlined feel to traditional tufted or quilted pieces, as seen on mid-century-inspired seating at Dovetail and a so-cool-it’s-square leather ottoman by Roberta Schilling. There’s been a lot of talk about voice assistants in the home. It’s something Shawn DuBravac, chief economist of the Consumer Technology Association, which puts on the Consumer Electronics Show every year in Las Vegas (Jan. 5 to 8, 2017), says will be big in 2017. In search of more open space, many homeowners and designers are doing away with expanses of upper cabinets and pushing all that storage onto a single hardworking wall. This one-stop hub frees up the rest of the space to create a breezy look. The “workhorse” kitchen island is about more than just adding workspace in the kitchen, but also for adding more storage, prep sinks, and a way to add extra seating. Have you been on Instagram lately? If so, the dominance of Scandinavian design is nothing new, and Flanigan reports that the look is making big inroads at High Point as well—“those influences are hitting the market in a pretty strong way,” she says. At heart, the Scandinavian or Nordic look is a blend of mid-century minimalism paired with soft, woven textures and simple, rustic prints. One of Flanigan’s favorite examples at High Point was a rug by Magnolia Home, designed by Fixer Upper’s Joanna Gaines. During her time in High Point, Marie Flanigan of Marie Flanigan Interiors, says she and her firm were repeatedly drawn to natural textiles in surprising applications. “The woven materials were a hit with our texture-loving firm,” she says, referencing a rope ottoman by Palecek and baby alpaca bedding by Imagine Home. So go ahead, make your home a little more cuddly. It’s Style Spotter-approved. 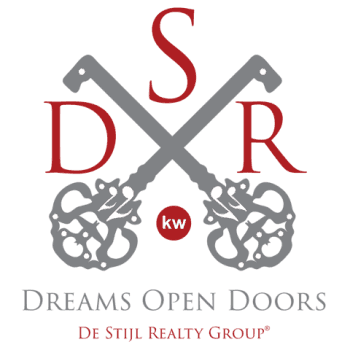 Do you want more real estate tips and news from Downers Grove Illinois and from around the country? Subscribe to our Downers Grove real estate blog to have real estate tips and news delivered right to your inbox!